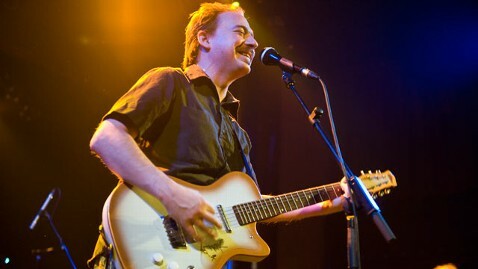 Singer songwriter Jason Molina, who recorded under the names Songs:Ohia and the Magnolia Electric Co., died Saturday at age 39 at his home in Indianapolis. His label, Secretly Canadian, said he died of "natural causes." Molina struggled with alcoholism for years, and, after more than a decade of recording and touring, he disappeared from public view in 2009 to deal with his drinking problem, his label wrote on the blog for Magnolia Electric Co. In 2011, his family wrote that he had "been in and out of rehab facilities and hospitals in England, Chicago, Indianapolis, and New Orleans." They asked fans to contribute to a medical fund because he had no health insurance, while the singer convalesced on "a farm in West Virginia raising goats and chickens for the next year or so." In May 2012, Molina posted a note to fans, saying, "It has been a long hospital year." "Treatment is good, getting to deal with a lot of things that even the music didn't want to," he wrote. "I have not given up because you, my friends have not given up on me." Molina first caught international attention in 1996 when he began releasing albums under the name Songs: Ohia. In 2003 he started the band Magnolia Electric Co. Between the two bands, he released over a dozen critically acclaimed albums. He toured all over the world every year, from 1997 until 2009, when his drinking forced him off the road. With his gravelly voice, he sang songs of pain and sadness that mostly took on the form of confessional folk music. "Once" singer Glen Hansard, who brought Molina along on tour with his group The Frames, once compared Molina's music to Leonard Cohen. Hansard told NPR, "It's like that Leonard Cohen thing: incredibly melancholic music that for some reason leaves you with a smile - not a smile, but leaves you with a kind of sense of hope."